The common mistakes we make when using keyboard and mouse. 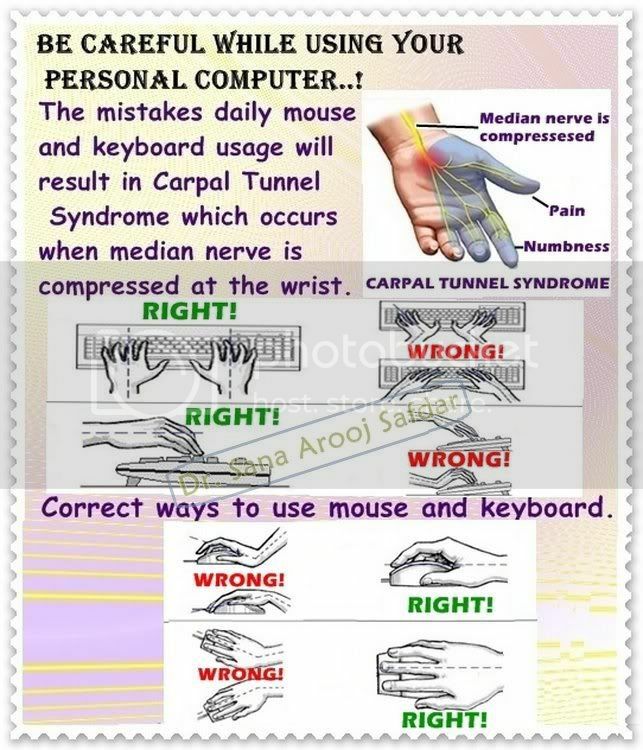 Many people actually use their computer the wrong way which will strain the wrist nerves in long run and cause Carpal Tunnel. I myself have experienced wrist strain from the wrong usage of keyboard and touch pad mouse which requires me to do some stretching on my wrist for it to feel better. If you are experiencing wrist discomfort, here's a video that will help you relieve pain. informative! thank you for sharing dear! @cleffairy - haha me too.. sometimes its hard to avoid. But the stretches from this video does help.